Try these 1 ingredient homemade ice pops with no sugar added for a refreshing sweet treat this summer! This post is sponsored by H-E-B. What is it about ice pops that make kids go crazy? At soccer games, all the kids get a free ice pop after their game and, often times, it’s more exciting for the kids to enjoy the popsicles than it is to play their games. While Dustin and I let the kiddos enjoy those types of sweets in moderation, it’s hard watching them eat something that’s clearly not good for their little bodies. I can even remember, as a kid, loving Otter Pops at parties and wishing my parents would buy them so we could have them in our house. A quick look at the label, however, leaves you never wanting you or your kids to eat them again. The second ingredient is high fructose corn syrup, followed by concentrated fruit juices, preservatives, and food coloring. Umm…pass. Instead, I decided to make my own homemade ice pops using some delicious summer melons from H-E-B. 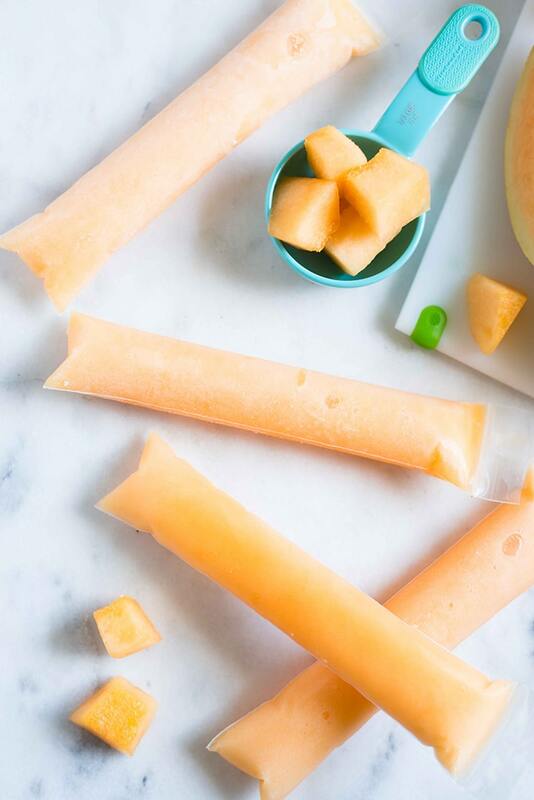 The Primo Picks Sugar Kiss Melons are in season right now and are so sweet and delicious, they’re perfect for making your own ice pops. Making your own homemade ice pops with fruit is so easy, especially if you have ripe, sweet, and juicy fruit. If it can be pureed, it can become an ice pop. If your fruit isn’t very juicy, you may need to add a little liquid to help it along. You can add water to keep it simple and not change the flavor too much or you can add other liquids, like lime or lemon juice to add a little extra flavor boost. Then, just add everything to a blender and puree until completely liquid. It’s so easy to do and the result is so awesome. Some fruits, like these Sugar Kiss Melons, don’t require any additional liquid or sweeteners, which is awesome. However, if you’re using less sweet fruit, you may need to add a little raw honey to help sweeten them. Remember that foods don’t taste quite as sweet when they’re frozen so, if it doesn’t taste sweet when it’s in liquid form, it will definitely not be sweet when frozen. 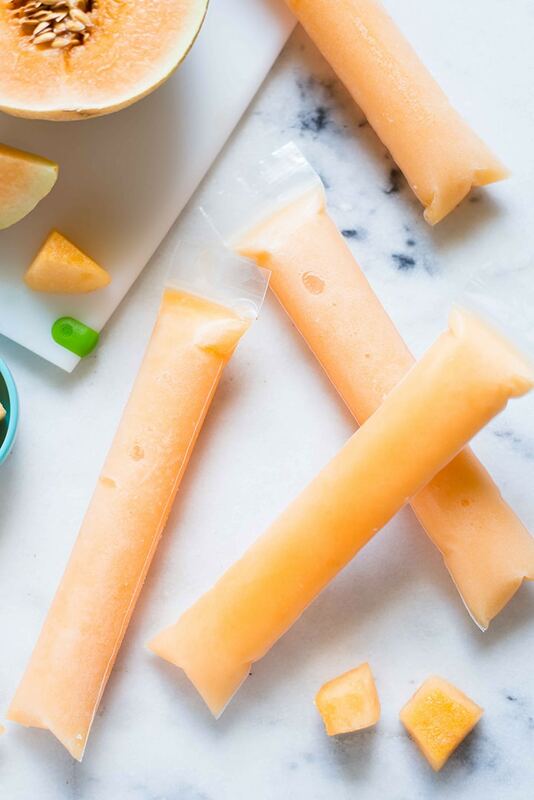 The best bet for making your own ice pops without sugar is to pick the sweetest, most in season fruits you can find. That will make them naturally sweet and allow you to avoid adding any additional sweeteners. If you do want to add a little sweetener, try to pick a less refined option, like pure maple syrup, raw honey, or coconut sugar. More on sugar here, if you’re interested. 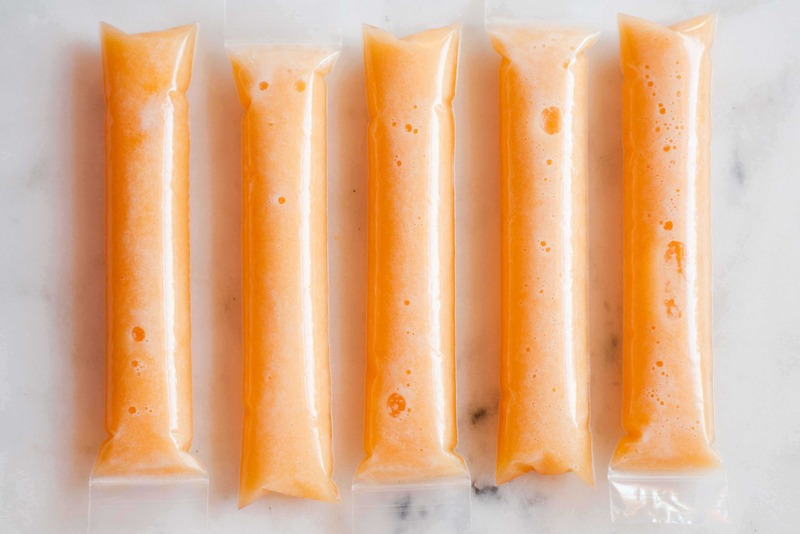 These homemade ice pops are for the kid in all of us. 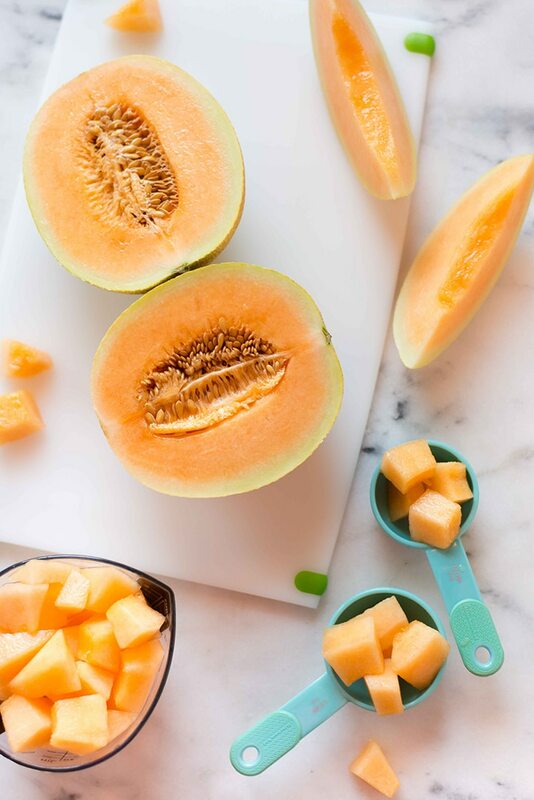 They’re sweet, fun, and a great way to take advantage of fresh, naturally sweet fruits, like the yummy Sugar Kiss Melons available at H-E-B right now. 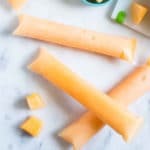 These homemade ice pops require just one ingredient and are a great sugar free treat to keep you cool. 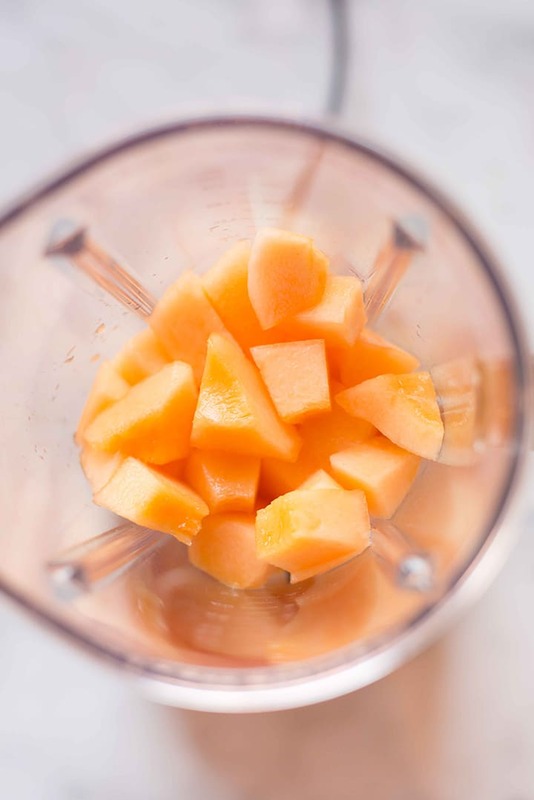 Add the cubed Sugar Kiss Melon to a kitchen blender. Blend until completely liquid. If necessary, you can add a little water to loosen. Carefully pour the liquid into each ice pop bag. Using a funnel will help make this process easier. Fill all the way to the max line, and then seal tightly. Place in the freezer and freeze until solid, about 2-4 hours. If you don't have access to Sugar Kiss Melons from H-E-B, you can also use other melons, like honeydew or cantaloupe. Where do you purchase those frozen “Ziploc” tubes? These are the ones I used and they worked great: http://amzn.to/2vMP11o They are a little larger than I was expecting, but good.